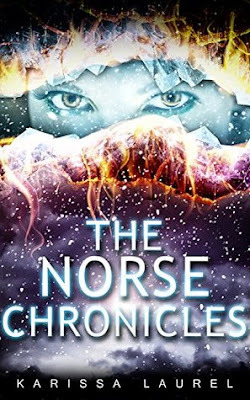 The Norse Chronicle is an Omnibus edition of three books. Although it’s long, the story is so captivating that I didn’t even notice it. :) It's perfect mixture of modern world with mythical world of Norse Gods. Ragnarok already accured and killed most of the Aesir, ones that are left are living more or less peacefully with humans. After decades of peace, there is threat of new Ragnarok. There is mystery to be solved, different creatures and Gods, amazing friendship, romance and alliances forming. Thorin. He came across such a creep in the beginning of the story. As we got to know him bit by bit, I started to like him and respect him. Not only is he one of the most powerful being in the story, he is such a rock for Solina. Mythology. Usually, I hate stories that go to far from original mythology, but this take on Norse gods, was just … perfect. The author brought modern times and sense of realism into mythology and made it her own. And I loved reading about the world(s) created. Thank you so much Anie. This is a great review and your reflection on the Characters is spot on! I really appreciate the time you took to read and review these books.